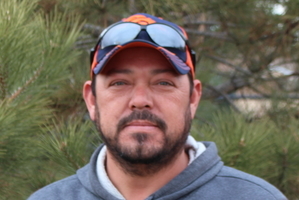 Jaime Hernandez began working for DTEC in 2005 and has survived both the highs and the lows of Colorado’s construction cycle. Jaime is another home-grown talent at DTEC and has put in years of installation and Team Lead experience before joining Brad as a Project Manager. Jaime also has the distinction of being a fantastic trainer/teacher and many of our current Team Leaders have learned the “DTEC way” directly from Jaime. Jaime knows equipment, erosion control techniques, but most of all Jaime knows people and has a knack for encouraging his co-workers in meeting personal growth goals and reaching their potential. Clients have been asking for Jaime by name for years because they know about his proven results and his gift for saying “yes” when others only see obstacles. Jaime manages several teams each day now, but they all share his ability to make good things happen for our clients. Jaime enjoys family and often invites others into the family experience by welcoming them into the fun, whether it is at work or at home, weekday or weekends.